For a while, the Patek Philippe Ref. 5016A-010 was the world’s most expensive watch. 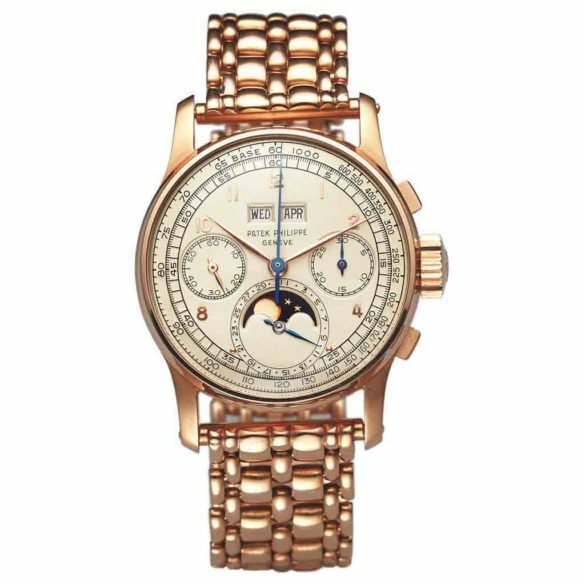 In November 2016, the Patek Philippe Ref. 1518A Perpetual Calendar with Chronograph takes the lead when it was auctioned at Phillips in Geneva for 9.6 million Swiss francs. Including the buyer’s fee 11’002’000 Swiss francs was paid for Ref. 1518A. Which was about 11.1 million dollars, 10,2 million euros and 8.8 British pounds. Today, it is the second most expensive wristwatch ever sold. If you don’t count ridiculous models from Graff, Chopard and Jacob & Co. which are loaded with buckets full of diamonds. And only two pocket watches were more expensive. The Patek Philippe Henry Graves pocket watch, sold in 2016 for 24 million dollars. And the Breguet Grande Complication Marie-Antoinette pocket watch, sold in 2013 for 30 million dollars. The Patek Phillip Ref. 1518 was introduced in 1941 as the first perpetual calendar with chronograph ever. Produced in series. 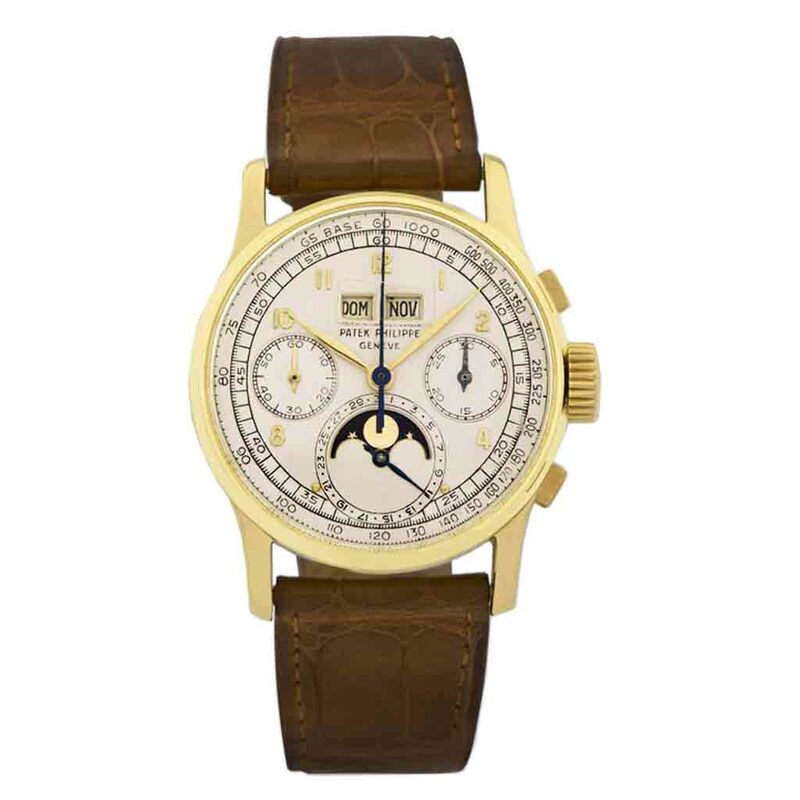 Perhaps it is the most important Patek Philippe, the grandfather of all Grand Complications. 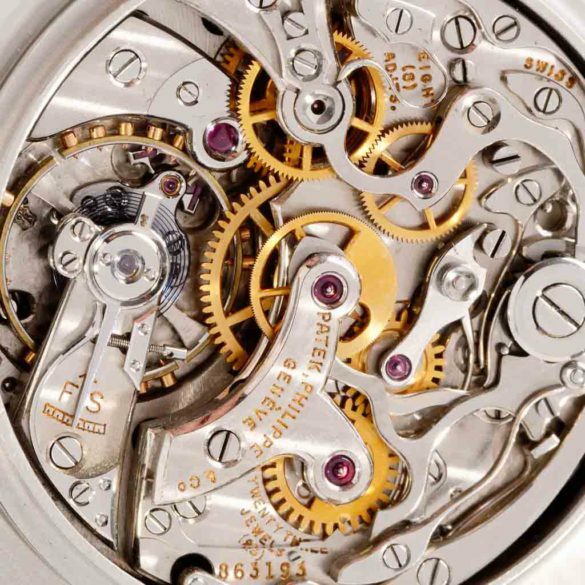 Inside the 35-millimeter watch is a Valjoux based caliber modified extensively and expertly finished by Patek Philippe. Not that one could admire all this work inside, as there were no see-through case backs at the time. During the 14-year production run, 281 pieces were made, mostly in yellow gold, about 55 in rose gold and only four known pieces in steel. Not the most precious metal compared to gold, but only four pieces makes it very rare. And how cool is the combination of an extremely complicated vintage movement in a relatively simple case? 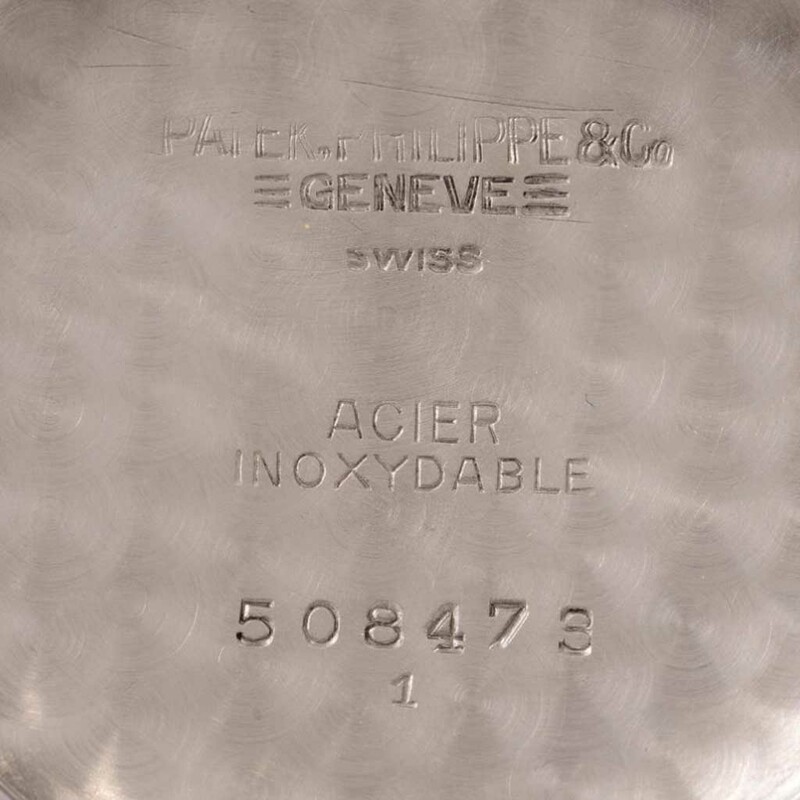 Patek ordered four steel cases at Georges Croisier, later known as Genevor SA, and used three of them for the Ref. 1518A. Nobody knowns what they did with the fourth case from Croisier. This could mean that possibly, but not likely, there is fifth Ref. 1518. But there are four Ref. 1518A’s. Only one has another case, produced by a firm called Wenger. This one, with case number 6335561, has wider and solid lugs without pierced lug holes. The other four from Croisier are (sequential) cases with pierced lugs. The first case used for the Patek Philippe Ref. 1518A has case number 508473(1) – which is the one that was auctioned in 2016. This number is stamped in the inner case back. The number 473 is also engraved on the inner side of the bezel. The other two Croisier cases have case numbers 508474(2) and 508475(3). Case number 2, 3 and the one with the Wenger case belong to Italian industrial families nowadays. The watch with case number 1 was manufactured in 1943 and sold for the first time on the 22nd of February 1944 to Joseph Lang from Budapest, Hungary. The retail price was 2’265 Swiss francs, just 500 francs less than a gold version of the model. The silvered dial is manufactured by Fabrique de Cadrans Stern Frères and is in extreme good condition. At the back of the dial the last four digits of the movement are engraved. By the way, the watch with case number 2 was delivered on the same day in 1994, to the same person. Right in the middle of World War II, just after Hungary declared war to Germany. Both watches resurfaced in Hungary somewhere between the year 1990 and 2000. The new owner of case number 1 is unknown. What about the gold versions of the Patek Philippe Ref. 1518? Today, yellow gold versions of the Patek Philippe Ref. 1518 sell at prices up to $ 500,000. The rose gold version sells at prices up to $ 1,500,000. Don’t be surprised if these amounts will raise significantly over the next few years. 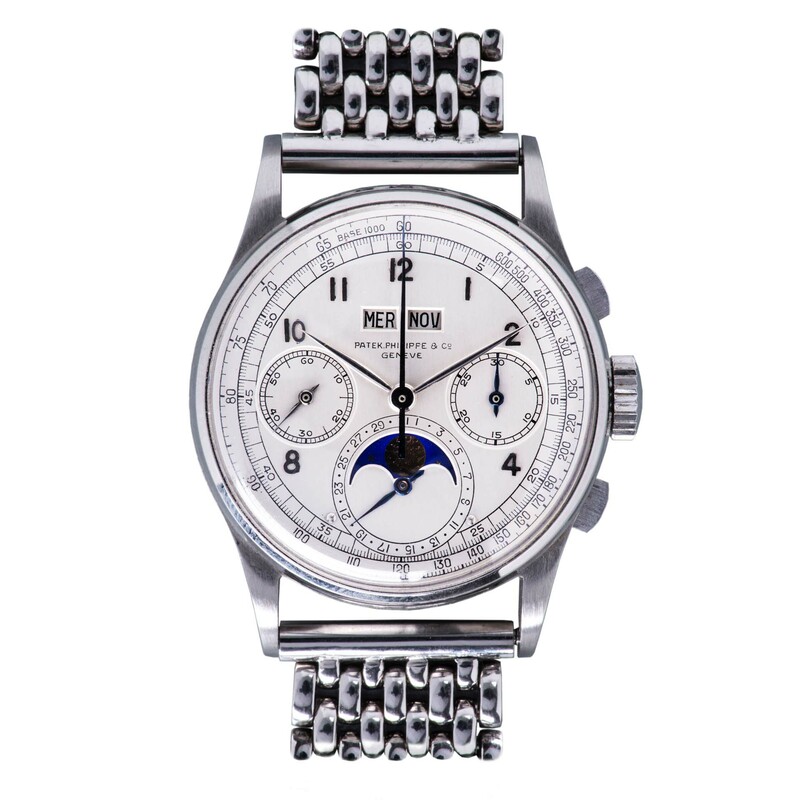 It is clear the stainless steel version of the Patek Philippe Ref. 1518 was and is a miraculous piece. Very rare as well. Although there are more, even rarer Patek’s. For instance, the Ref. 5016A with blue enamel dial for Only Watch 2015, which is a one-off. The Ref. 5208T-010 for Only Watch 2017 as well. The Patek Philippe Ref. 130 Single-Button Chronograph (1927) is one out of two in stainless steel – one belongs to the Patek Museum and will never be for sale. There are only two known pieces of the Patek Philippe Ref. 1436 Split-Seconds in stainless steel (1940s). Actually, there were three of them but one was re-cased in yellow gold, probably in Italy, in 1950. However, the (combination of) complications of the Ref. 1518 were groundbreaking in the 1940s and for decades after that, which makes the Ref. 1518A more unique, more special than the aforementioned pieces. Even though it is from stainless steel.